Isabela island is a seahorse shaped island and is the largest of all the islands, measuring 120 km longer and greater in size than all of the other islands combined. The island was originally named Albemarle Island for the Duke of Albemarle. There are 5 volcanoes on the island that still produce volcanic activity. 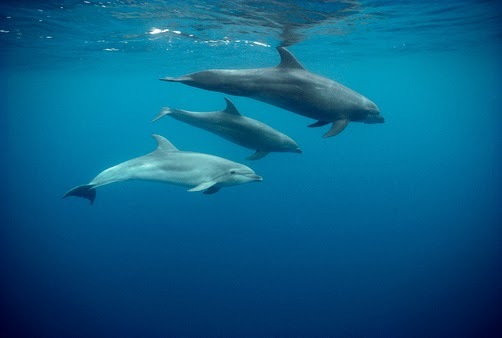 Isabela provides visitors with a unique opportunity to experience the spectacular marine mammals of the Galapagos Islands especially whales and dolphins. Scuba diving tours through subterranean passages off the coast lead to a secluded cove abundant with marine life. The waters around Isabela are the best in the Galapagos for whale watching. The Cromwell Current up welling creates a nutrient-rich feeding ground attracting a wide variety of species including humpback whales, sperm whales and orcas. In addition to the many marine mammals of the Galapagos found here, Isabela is home to more land tortoises than any of the other islands. 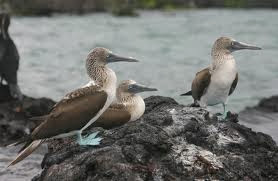 Tourists also are likely to encounter blue-footed boobies, Galapagos penguins, marine iguanas, marine turtles and even the rare Flightless Cormorant. Tourists who wish to stay in Isabela find the settlement of Puerto Villamil to be laid back and welcoming. The white, sandy beaches and quiet lagoons are the quintessential Galapagos experience. The western side of the island is not accessible but you can have a great time at the Puerto Villamil. There are cabins available here at a very low price on a daily basis. When in Puerto Villamil another place to visit is the Santo Tomas or you can trek to the Muro Las Lagrimas. It is a historical place reportedly built by convicts. During nesting season, you can find countless marine turtles and their nests.